WHEREAS, from time to time, it becomes necessary to amend or repeal and replace certain ordinance in the best interest of the citizens; NOW, THEREFORE, BE IT ORDAINED BY THE CITY COUNCIL OF THE CITY OF BOERNE, TEXAS: The Code of Ordinances, City of Boerne, Texas, is hereby amended by repealing and replacing Chapter 18, Sign Regulations with the following ordinance: AN ORDINANCE REPEALING AND REPLACING ORDINANCE NO. 97-03, AND ALL ORDINANCES AMENDING SAID ORDINANCE, CAPTIONED "AN ORDINANCE PROVIDING FOR THE REGULATION OF THE INSTALLATION AND MAINTENANCE OF SIGNS WITHIN THE CITY OF BOERNE, TEXAS, AND WITHIN THE EXTRA-TERRITORIAL JURISDICTION OF THE CITY; PROVIDING FOR DEFINITIONS, LOCATIONS, SIZE AND HEIGHT RESTRICTIONS; PROHIBITING CERTAIN TYPES OF SIGNS; REQUIRING PERMITS; PROVIDING A MEANS OF VARIANCE HERETO; PROVIDING A REPEALING SECTION; PROVIDING A SEVERABILITY CLAUSE; AND PROVIDING FOR PENALTIES NOT TO EXCEED $1,000.00"
SECTION 1. IN GENERAL No sign shall be erected, reconstructed, repaired, maintained or used after the effective date of this ordinance unless such erection, reconstruction, repairs, maintenance or use meets all the provisions of this or any other applicable ordinance adopted by the City Council of the City of Boerne, Texas. SECTION 2. PURPOSE The City Council finds that to protect the health, safety, property and welfare of the public it is necessary to prevent the unregulated proliferation of signs while at the same time respecting the public’s right to freely engage in constitutionally protected speech. The purpose of these rules and regulations is to provide uniform sign standards and regulations in order to improve pedestrian and traffic visual safety, to provide for safe construction, location, erection, and maintenance of signs, to prevent proliferation of unauthorized signs, to minimize the possible adverse effect of visual clutter on nearby public and private property, and to promote a positive City image reflecting order, harmony and pride, thereby strengthening the economic stability of Boerne's commercial, cultural, historical and residential areas. SECTION 3. DESIGN GUIDELINES It is the policy of the City to encourage signage which is appropriate to the Hill Country setting and the rural scale of the city, and to discourage signs which are in conflict with the established character of the community. To this end, all sign owners are encouraged to conform to the following guidelines for sign location, configuration, design and materials. A. Signs should be located with sensitivity to preserving the natural landscape and environment. Signs should be incidental complements to the principal use of a site, and should never be allowed to visually dominate a site. B. The height, width and area of a sign should all be in proportion to the dimensions of a building to which the sign is attached and in architectural harmony with surrounding structures. Sign dimensions should respect the size, scale and mass of a building facade, the height of the building, and the rhythms and sizes of window and door openings. C. No sign should be placed upon a building or structure in any manner which would disfigure, damage or conceal any window opening, door, or significant architectural feature or detail of the building. D. Sign materials should be predominantly natural, such as native stone, rough cedar, pine or other types of wood, metal, or materials that simulate natural materials. SECTION 4. JURISDICTION The provisions of this ordinance shall apply within the City Limits and within the extra-territorial jurisdiction (ETJ) of the City as defined by state law. 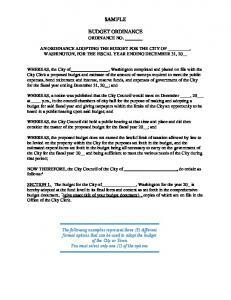 The City Manager or his/her duly authorized representative. Commercial Complex: Any development which consists of two or more establishments on a single platted lot such as a shopping center or an Industrial Park/ Business Park or Campus office park on two or more contiguous lots, which may be separated only by a street or drainage rights of way. Directional Sign, River Corridor: An off-premise sign that gives directions to an establishment located in the River Corridor Zone. Establishment: A use of land for any purpose which requires a building on the land, regardless of the commercial, nonprofit or public nature of the activity, but excluding a residence or active agricultural use in any form. Handheld Sign: A sign which is not permanently or temporarily attached to the ground or to a permanent structure, and which is designed to be transported or carried by an individual. subdivision. The Identifier shall contain the name of the commercial complex and shall not advertise for individual establishments. Commercial Sign: Any sign, regardless of its location or construction, whose wording or other contents, directly or indirectly, names, advertises or calls attention to any business, product, service, institution, organization, event, cause, purpose or other activity. Community Service Sign: A temporary sign which solicits support for, or participation in, a non-profit, non-political, community, public or social purpose, cause, event or activity, such as one marking a holiday or holiday season, or one supporting school activities, charitable programs, religious activities, or events of community interest. Community Pride Sign: Temporary sign or banner which is used to identify establishments that have been recognized by the Chamber of Commerce or local newspaper not to exceed 90 days. Construction Sign: A sign placed on a construction site identifying or announcing the character of the project and/or the names of the owners, developers, financiers, architects, engineers, contractors, leasing agents and others associated with the project. Digital Wrap Sign: A freestanding sign made out of flexible material mounted on sign board or a similar rigid product. Directional Sign: A sign which is separate from other signs, incidental and secondary to the principal use of the land on which it is located, and whose primary purpose is to give directions such as to parking lots, exits, entrances, or drive-through windows, or directives such as “no parking” or “loading only.” Event Sign, Off-Site: A sign giving directions to an occasional event at another location, other than a business event at a commercial establishment, such as directions to a civic or other non-commercial ceremony, to an event for the members of an organization, or to an event at a residence such as a garage sale, home for sale, real estate open house, or private party. Event Sign, On-Site: A sign which is placed to advertise or mark the location of an occasional event on the same site, such as the location of a civic or other non-commercial ceremony, of an event for the members of an organization, or of an event at a residence such as a home for sale, real estate open house, or private party. Flag: A flag adopted by a business, institution or other organization and containing the name, logo or other symbolic emblem of that business, institution or organization. Flashing Sign: A sign with flashing, blinking, moving, rotating or traveling lights, or with lights that change in color or intensity, or have multiple views and objects that digitally or electronically produce color and/or black and white images whether the sign is directly or indirectly illuminated, or a sign which uses lights to form traveling messages or messages which change more than once per day, except for a public service sign. Free Standing Sign: Either a monument sign or a self supported sign. Governmental Flag: Flags of the United States, the state, the city, foreign nations having diplomatic relations with the United States, and any other flag adopted or sanctioned by an elected legislative body of competent jurisdiction. Governmental Sign: A sign owned or sponsored by the City of Boerne, Cow Creek Ground Water Control District, Kendall County or the Boerne Independent School District that is used to provide general information to the community. Integral Sign: A sign indicating the name of a building, as distinct and clearly distinguished from the name of a business, institution or other entity occupying the building, or indicating the date or other information of historical interest about the building's construction, when such sign is cut or molded into a masonry surface which forms part of a wall of the building or when it is constructed as a plaque or tablet of bronze or other incombustible material and permanently mounted on the face of the building. LED Sign: A sign composed of light emitting diodes. Lighted Sign: A sign that is back-lighted or lighted from within, a neon sign, or a LED sign but not a sign that is only illuminated by external lights that shine upon it. Model Home Sign: A sign which is located on the same lot as a model home in a residential subdivision and which calls the attention of prospective buyers to the model home. Monument Sign: A sign which is built as a monument on the ground, independent of any other structure for its support Monument Sign, Changeable Copy: A monument sign which incorporates a changeable copy feature into the sign. Moving Sign: A sign or any part of a sign which rotates, moves, or uses lighting to simulate motion. Name Plate: A sign, mounted flat against the wall of a building and not projecting more than one inch from the face of the wall, indicating the name and/or address of the building, and/or the name of an occupant thereof, and/or the practice of a permitted home occupation therein. Neon Sign: Gas filled glass tubing sign. New Business Sign: existing structure. extend at any point above or beyond the end of such wall. A sign which is painted on a sloping roof or mounted on a sloping roof in the same plane as the roof is also a wall sign. Window or Door Sign: Any sign which is painted or placed inside or upon a window or door, or mounted against a window or door and oriented so as to be read from outside the building. SECTION 6. EXEMPTIONS FOR CERTAIN TYPES OF SIGNS The following types of signs are exempt from regulation under this ordinance: A. Any sign inside a building, or a window or door sign, except for a lighted window or door sign. B. Commemorative plaques and historical markers mounted on the face of a building or erected on a site as a free-standing monument, when placed by a governmental entity, historical society or other civic organization to commemorate a person, event or other matter of historical interest. C. Any sign erected or required to be erected by any governmental entity or public utility to give information, directions or warnings to the general public, regardless of the sign's location on public or private property. D. Signs that advertise sales or “help wanted” not to exceed four (4) square feet, limited to one per street frontage. E. Banners that advertise “help wanted”, structures for sale or lease, space within structures for rent or lease, and retail “sales” signs. These banners shall be limited to one per category per building/lease space and banners must be kept in good repair throughout the time of their display. F. Signs that provide directions to the Convention and Visitors Bureau. G. Handheld signs of a non-commercial nature which do not rest on or otherwise touch the ground. H. Any sign authorized by this ordinance displaying a commercial message which is subsequently substituted for a non-commercial message in place of the previous commercial message, or previous non-commercial message. SECTION 7. CENTRAL AREA GUIDELINES AND RESTRICTIONS A. For maximum height for all signs (monument and self supported) refer to Section 10, Subsections S and BB. B. Maximum size for a self supported sign is thirty-two (32) square feet and a monument sign is forty-eight (48) square feet. SECTION 9. AUTOMOBILE DEALERSHIPS Automobile dealerships that have frontage along the Interstate Highway shall be subject to the following guidelines: 1. Poles that are used for onsite lighting may have banners or flags attached to them. No more than two (2) banners or flags per pole that are no more than three (3) feet wide and eight (8) feet long. 2. Each dealership may have a banner at its entrance indicating which day of the weekend they are open or for special promotions. 3. Balloons may be used. The balloons must be spherical and not more than twenty-four (24) inches in diameter and held in place by a tether not to exceed ten (10) feet in length, balloons and tethers shall not be tied in sequence to form a longer balloon system and shall not fall into a state of disrepair (deflated). 4. Additional temporary signage may be utilized for national promotional events. 5. Automobile dealerships are limited to two types of moving signs, balloons and flags; the use of more than one of these at a time is prohibited. 6. The dealership may have an additional free standing sign for each three hundred (300) feet of frontage on the Interstate. SECTION 10. RESTRICTIONS ON CERTAIN TYPES OF SIGNS A. Awning Signs. One-third of the area of an awning sign shall be counted toward the limit on the total area of wall signs on the wall to which the awning is attached. B. Banners. Banners that are required to be permitted must be securely attached to a building or other permanent structure and they must be kept in good repair throughout the time of their display. Banners shall not be erected for more than thirty (30) days in succession; the responsible party must remove them within no more than three (3) days after the permit has expired. Banners shall not be placed on any site more than five (5) times within a calendar year, with a minimum of twenty (20) days in between permits. (Ord. No. 2010-33 §10, 10-12-2010) C. Bed & Breakfast Identifiers shall be erected on the property at which a bed & breakfast that is registered with the City of Boerne and the State Comptroller’s Office as a bed & breakfast is located. The identifier shall not exceed two (2) square feet and not exceed four (4) feet in height. D. Bulletin Boards. Bulletin boards shall be located only on the premises of the institution or organization to whose activities it pertains. A bulletin board shall not exceed thirty-two (32) square feet in area. E. Canopy Roof Signs. 1. Only one canopy roof sign shall be permitted per establishment. 2. Allowed only as business identifier mounted parallel to the building wall face on top of a canopy roof which may not extend above the main building roof line. Canopy roof sign area will count against allowed wall signage at the establishment and will only be allowed in lieu of a projecting sign or wall sign. 3. A canopy roof sign cannot exceed eighteen (18) inches in height with a maximum length of five (5) feet or ten percent (10%) of the width of the establishment whichever is greater. F. Canopy Signs. 1. Only one (1) canopy sign shall be permitted per entrance to an establishment. 2. No canopy sign shall extend beyond an edge of the canopy structure to which it is attached. Except at a street corner, no canopy sign shall be closer than five (5) feet from the end of the longer side of the canopy structure. 3. A canopy sign, which is perpendicular to a building face, shall not exceed two-thirds (2/3) of the width of the canopy structure. A minimum spacing of ten (10) feet must be provided between such canopy signs. 4. A canopy sign, which is parallel to a building face, shall not exceed two-thirds (2/3) of the length of the canopy structure. 5. No canopy sign shall extend more than two feet either above or below the horizontal underside of the canopy structure. No canopy sign shall be less than seven (7) feet from ground clearance. G. Community Service Signs. A Community Service Sign shall be erected only by a unit of government, school, Chamber of Commerce, religious organization or other non-profit agency. The area of a community service sign shall not exceed six (6) square feet in a residential area or thirty-two (32) square feet in a non-residential area. A community service sign, which promotes any particular event, shall not be erected more than fourteen (14) days prior to the event and shall be removed by the responsible party not more than three (3) days after the event. H. Construction Signs. 1. A construction sign may not exceed thirty-two (32) square feet in a non-residential area or sixteen (16) square feet in a residential area, except that a construction sign for an establishment that is located along an interstate highway and has actual frontage on the highway right-of-way may have an area of three hundred (300) square feet with a maximum height of fifteen (15) feet. 2. A construction sign must be removed at the time of the installation of the permanent sign or within thirty (30) days after the City issues a Certificate of Occupancy for the project whichever comes first. 3. Construction signs which are larger than three (3) square feet in area and not securely mounted on a wall shall be set back at least ten (10) feet from the property line. 4. Only one construction sign may be permitted per street fronting a building or other project under construction, reconstruction or repair, except that one additional sign, not exceeding three (3) square feet in area, may be placed on the site by any individual contractor or subcontractor working on the project and not acknowledged on the principal sign. I.
Directional Signs. 1. A directional sign may not contain any commercial message except the name, logo or other symbolic identification of the establishment to which the sign is secondary. The area of a directional sign may not exceed six (6) square feet. 2. A River Corridor District Directional Sign identifying an establishment in the River Corridor Zone shall not exceed twelve (12) square feet. With the prior approval of the City Manager, these signs may be located off-premises, and may be added to nonconforming signs. These signs may also be placed in areas designated by the City Manager to include rights-of-way. same event. Such signs shall not be placed more than fourteen (14) days prior to the event and the responsible party must remove all such signs within one day after the conclusion of the event. K. Event Signs, On-Site. An on-site event sign shall not exceed an area of three (3) square feet at a residence or thirtytwo (32) square feet at any other location. Such sign shall not be placed more than fourteen (14) days prior to the event and the responsible party must remove it within one (1) day after the conclusion of the event. L. Flags. Three flags are allowed per location, with a combined square footage equal to the permitted square footage for the self-supported sign for that establishment. The area of any additional flags shall be counted toward the total square footage for the self-supported sign. Any flagpole that does not fly a governmental flag shall not exceed thirty (30) feet in height. M. Free Standing Signs. 1. Only one (1) freestanding sign shall be permitted per individual freestanding establishment. 2. Only one (1) free standing sign shall be permitted for a commercial complex, identifying the name and/or address of the complex and/or listing the individual tenants in the complex. a. Except that a commercial complex with a land area of two (2) acres or more may have one (1) such free standing sign along each street which borders the complex for a distance of two hundred (200) feet or more. b. If the commercial complex is an Industrial Park, Business Park or Campus free standing monument sign (not to exceed eighty (80) square feet, or ten (10) feet in height) may be located on a one corner lot at each primary entrance to the complex. c.
If a commercial complex sign is installed to identify the complex and the establishments within the complex under the circumstances described in section d (i), (ii) below each establishment may install a monument sign that does not exceed ten (10) feet in height and eighty (80) square feet in size. (ii) The establishment has a separate parking area from the principal parking area of the complex, which may connect with the principal parking area but is visually set off from that area by fencing or landscaping. 3. If a landscaped area is installed at the base of a free standing sign, this landscaped area shall be protected from damage by pedestrian and vehicular traffic by a retaining wall or other barrier or method of separation acceptable to the City Manager. The plants in such landscaped area shall be maintained in a healthy condition, and the responsible party shall keep the area free of weeds, trash and debris. N. Governmental Flags. Governmental flags are permitted in all zoning districts provided that they meet the following requirements. 1. United Stated flags shall be flown in accordance with the protocol established by the Congress of the United States for the Stars and Stripes, Title 4, Chapter 1 – The Flag. 2. When a flagpole is located on the top of a roof, the placement and attachment of the pole shall meet the building code for wind and structural loading requirements. The plan design criteria shall provide the proposed location, attachment method to the structure and wind load resistance. A building permit shall be required for this type of installation. 3. Within Zoning Districts B-2 and B-I, ground mounted flagpoles shall not exceed fifty (50) feet. In the RC zone the flagpole may not exceed the maximum building height of thirtyeight (38) feet. In all other zones the flagpole cannot exceed thirty (30) feet in height. The height is measured from the base of the pole to the top. O. Handheld Signs. The area of a handheld sign shall not exceed six (6) square feet. Handheld signs displaying a commercial message shall not be permitted on an establishment if the square footage of the handheld sign combined with the square footage of any lawfully permitted permanent sign exceeds the total allowable square footage of signage for that establishment. P. Integral Signs. The area of an integral sign shall not be counted toward the limit on the area of wall signs on the same wall, provided that the integral sign contains no commercial message substantially duplicating another sign. Q. Lighted Signs. An establishment shall only have one lighted window or door sign per store front, not to exceed three (3) square feet. These signs shall be turned off when the establishment is not open for business. Illuminated exterior signs not lit by internal lighting shall be illuminated by down lighting methods; “up–lighting” is prohibited. R. Model Home Signs. A model home sign shall be erected only on the actual site of a model home, and only one such sign may be erected on the site. The area of a model home sign shall not exceed sixteen (16) square feet, and the height of a model home sign shall not exceed six (6) feet. A model home sign shall not be internally illuminated. All model home signs must be removed within thirty (30) days after ninety (90) percent of the homes in the subdivision are sold. S. Monument Signs. 1. 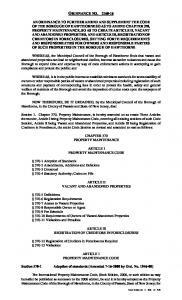 The area of a monument sign for an individual establishment shall not exceed: a. b. c. d. e.
2. The area of a monument sign for a commercial complex shall not exceed: a. b. c. d. e. f.
V. Political Signs. A political sign that contains primarily a political message and that is located on private real property: 1) shall not be installed more than 90 days before the election to which the sign relates 2) political signs shall be removed within 7 days following the election to which the sign relates 3) shall not be constructed of roofing material, siding material, or balloons 4) shall not have an area greater than thirty-six (36) square feet, 5) shall not be more than eight (8) feet in height, 6) shall not be a lighted sign and shall not have any moving elements 6) may be placed on property only with the consent of the property owner, 7) political signs shall not be placed in, on or over any right of way or publicly owned land. (Ord. No. 2012-15, §10, 7-10-2012) W. Portable Signs. Portable signs may be used only to promote a non-profit community event. Such signs shall not be illuminated, either by internal or external means, and shall not exceed an area of thirtytwo (32) square feet. Such signs may be placed on private property only with the permission of the owner of such property, on City property only with the approval of the City Manager, or on other public property only with the permission of the agency owning the property. Such signs shall not be erected more than fourteen (14) days prior to the event and all such signs must be removed by the responsible party not more than three (3) days after the event. X. Projecting Signs. 1. Only one projecting sign shall be permitted per establishment, except that in the B-3 and RC zoning districts, an establishment which is located on the corner of a street intersection or at the end of a building in a commercial complex may have one (1) projecting sign on the front wall and one (1) projecting sign on the side wall of the building. 2. The area of a projecting sign shall not exceed sixteen (16) square feet in any residential zoning district and in the NBO and B-1 zoning districts, or thirty-two (32) square feet in any other zoning district and in the extra-territorial jurisdiction. 3. No projecting sign shall exceed a height of twenty (20) feet, and in the B-3 zoning district no projecting sign shall extend vertically above the window sill of a second story. 4. No projecting sign shall extend, either above the roof of the building or beyond the end of the wall to which it is attached, by more than four feet at the point of attachment, except that a theater marquee may extend completely across the sidewalk below the marquee. 5. A projecting sign attached to a building on private property shall not extend over any public land except a sidewalk adjacent to a building which is lawfully built up to the public right-of-way. Y. Z. Realty Signs. Realty signs may be placed only upon the premises to which they refer, and only one such sign shall be permitted per street fronting the lot or tract. The area of a realty sign shall not exceed six square feet in a residential area, and shall not exceed thirty-two (32) square feet in a nonresidential area. The size of a realty sign on properties that have frontage on Interstate IH 10, and HWY 46 shall not exceed three hundred (300) square feet and fifteen (15) feet in height. AA. Residential Development Signs. 1. In addition to the name and/or the address of the residential development, a residential development sign may incorporate incidental leasing information and/or the contents of a directional sign. 2. For a residential development with six (6) or fewer residential units, the area of a residential development sign shall not exceed thirty-two (32) square feet. For a residential development with more than six (6) residential units, the area of a residential development sign shall not exceed the smaller of either five (5) square feet per residential unit or fifty (50) square feet in total. 3. A residential development sign shall not be internally illuminated. 4. For a residential development sign in a condominium development or in a subdivision in which the sign is common property of the subdivision homeowners, the condominium regime or restrictive covenants must provide adequate assurance, in the judgment of the City Manager, that the landscaped area, if present, at the base of the sign will be properly maintained by the condominium owners association or homeowners association. Self-Supported Signs. 1. Self-supported signs are permitted only in the Central area, B-2, B-1, I-industrial zoning districts and in the extra-territorial jurisdiction. The supports for self-supported signs may be enclosed by a veneer that is non structural and approved by the City Manager. 2. The area of a self-supported sign shall not exceed: a. b. c. d.
a single establishment – thirty-two (32) square feet. a commercial complex in the Central Area – thirty-two (32) square feet a commercial complex located in the City limits or ETJ – sixty-four (64) square feet a commercial complex with a land area of two (2) acres or more and frontage of two hundred (200) feet or more on each of two (2) or more streets - the total area of all self-supported signs shall not exceed one hundred twenty-eight (128) square feet. c. All others except those signs identified in item 4 below – twenty (20) feet 4. The height and area of self-supported signs for establishments or commercial complexes that are located on lots or tracts of land that are within one hundred (100) feet the right of way of Interstate 10 and whose signs are oriented so as to be read from the interstate highway shall be determined as outlined below: a. Height: maximum height of forty (40) feet for an establishment or commercial complex b. Area: maximum area for an establishment is one hundred (100) square feet; the maximum area for a commercial complex shall be as follows: a total of one hundred and fifty (150) square feet for the first two establishments plus 50 square feet for the each additional, establishments; however a commercial complex sign shall not exceed a total of two hundred and fifty (250) square feet regardless of the number of establishments in the complex. c. A property owner whose property is located within one hundred (100) feet of the right of way of Interstate 10 frontage and feels that, due to the topography of the property or other reasons that are directly related to the physical location of the property, that they need to have a self supported sign that is in excess of the parameters set forth in Section BB 4 (a) or (b) may request an increase in the area and or height of a self supported sign by requesting that the Sign Review Committee review their application. Said request shall be turned into the office of the City Secretary with all substantiating evidence that the applicant feels is necessary for the Committee to make its decision The Sign Review Committee shall take action on a request with in 10 working days of receiving the request and notify the applicant of its decision and forward a report of its decision to City Council. The committee shall only take into consideration the physical location of the property and sign and the ability of the traveling public to view the sign and make a decision to exit the Interstate in a safe manner. The Committee shall not approve a sign height in excess of seventy-five (75) feet or an area larger than three hundred (300) square feet. G. Moving signs. H. LED signs except for, window or door signs (only one per store front), and Public Service and Governmental signs, theater marquee signs and canopy gas pricing signs outside of the central area. (Ord. No. 2012-15, §11, 7-10-2012) I. Neon signs. Exterior Neon Signs shall not be permitted. J. Roof signs. K. Vehicular signs. L. Posters, pennants, ribbons, streamers, spinners, or other similar devices, provided that as regulated in Sections 7 and 8 are not included in this prohibition. M. Signs, banners or posters which contain statements, words or pictures of an obscene, indecent, or immoral character or which offend public morals or decency. N. Signs which by reason of their proximity to a public or private street, highway, alley, lane, parkway, avenue, road, sidewalk, or other right-of-way, constitute a hazard to vehicular or pedestrian traffic either because their location interferes with the safe operation of a vehicle, or because they obstruct the view of traffic, or because their design or content may be confused with any authorized traffic sign, signal or device. O. Commercial signs of any character, in any form of construction, and at any location except as regulated by this ordinance. P. Signs, to include handheld signs which, by reason of their proximity to a public or private street, highway, alley, lane, parkway, avenue, road, sidewalk, or other right-of-way, constitute a hazard to vehicular or pedestrian traffic either because their location interferes with the safe operation of a vehicle, or because they obstruct the view of a traffic sign, signal, or device, or the view of other vehicular or pedestrian traffic, or because their design or content may be confused with any authorized traffic sign, signal or device. SECTION 12. PROHIBITED SIGN LOCATIONS No sign shall be located anywhere in the City or the City's extra-territorial jurisdiction except in accordance with the following provisions. A. No sign shall be placed on or attached to any tree. B. No sign shall be placed on or attached to any utility pole or pedestal, except by a utility company owning the pole or pedestal or operating facilities mounted on the pole or in the pedestal. C. No sign shall be placed or kept in use to advertise an activity, business or service no longer conducted on the premises upon which the sign is located. D. No sign or part of a sign, including mounting fixtures and supporting structures, shall be located on or above any public land to include rights of way, except as regulated by other provisions of this ordinance. E. No sign or part of a sign, including mounting fixtures and supporting structures, which is mounted above or projects over any sidewalk, street, drive or parking area, whether on public or private land, shall be hung with less than seven (7) feet of vertical clearance above the sidewalk or less than twelve (12) feet of vertical clearance above the street, drive or parking area. F. No sign shall be located on any sidewalk or in any unpaved walkway intended for public use so as to allow less than three feet in radius of horizontal clearance on at least one side of the sign. G. No sign or part of a sign frame shall be located between two (2) feet and ten (10) feet above the established ground level within the area of a clear sight triangle for traffic extending twenty-five (25) feet in each direction from the point of a street intersection. H. No sign shall be located closer than six feet laterally to a secondary power line or closer than fifteen (15) feet laterally to a primary power line. I. No lighted sign, and no permanent sign shall be mounted or placed on or extend above the side wall or rear wall of any building, or be located in the side yard or rear yard of any lot or tract of land, when such sign faces upon and is visible from a contiguous residential area not separated from the building, lot or tract containing the sign by a public street or alley. SECTION 13. SIGN PERMITS A. Permit and Fee Required. Except as provided in Subsection B of this Section, no person shall erect, install, place, alter, repair or relocate any sign without first obtaining a sign permit from the City Manager. Each application for a sign permit must be accompanied by the appropriate fee established by City Council and by such drawings, descriptions and specifications as are reasonably determined by the City Manager to be necessary for proper review of the application. Upon receipt of a completed application accompanied by the requisite fee(s), the City Manager, upon the recommendation of the Historic Commission, if applicable, shall approve or deny said permit within thirty (30 days of receipt thereof. within the allotted time may be removed by the City and the actual cost of such removal shall be charged to the responsible party for the sign. If an un-maintained or dis-repaired sign is removed by the City and the sign remains unclaimed for a period of more than thirty (30) days, the City may destroy, sell, or otherwise dispose of the sign. B. Removal of Hazardous Signs. Any sign which in the judgment of the City Manager has become an imminent hazard to public safety, either because of an incident of damage or because of neglect of maintenance, shall be repaired or removed by the responsible party without delay. Notice of the existence of the hazard shall specify the maximum time which may be allowed for repairs or removal in order to insure public safety, and the notice may be served upon the responsible party by any means available. A hazardous sign which is not repaired or removed within the time specified in the notice shall be removed by the City and the cost of such removal shall be charged to the responsible party. If a sign has been removed by the City as a hazardous sign and the sign remains unclaimed for a period of more than thirty (30) days, the City may destroy, sell, or otherwise dispose of the sign. SECTION 15. NONCONFORMING SIGNS A. Continuation in Use. The lawful use of signs in existence at the time of passage of this ordinance, although such use or sign does not conform to the regulations contained in this ordinance, may be continued; but if the use of a nonconforming sign is discontinued for a period of ninety (90) consecutive days or more, then the sign must be removed by the responsible party without compensation and any future use of the sign must be in full compliance with this ordinance, except that signs displaying a commercial message that substitute that message for a non-commercial message are not subject to this section. B. Limitations on Modification. No nonconforming sign shall be enlarged in area, increased in height, moved, altered, or remodeled unless and until its construction, area, height and location are all in conformity with the ordinance. A lawfully existing sign may be repainted and the letters or characters on the sign may be rearranged or replaced, however the changes cannot be made to advertise a new business. C. Removal of Damaged Signs. A nonconforming sign which is damaged by any cause to the extent of fifty (50) percent or more of its value must be removed by the responsible party without compensation and within thirty (30) days of the damage. A nonconforming sign damaged to the extent of fifty (50) percent or more of its value shall not be replaced or rebuilt except by a sign that is constructed and located in full conformity with this ordinance.